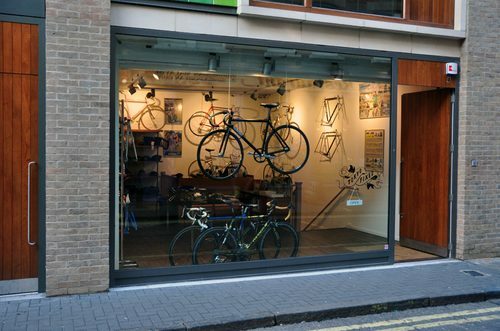 Legit is the word I’d use to describe the new Tokyo Fixed Gear brick and mortar shop in London’s Soho. It’s jam-packed with goodies and bikes. Literally every square inch has been planned out and fully-stocked. Looks really great. How do I know all this? Max just uploaded a ton of detail shots to the TFG Flickr. Check ’em out!